Why are transportation improvements such a high priority? How do transportation improvements support economic development? How do you prioritize regional transportation projects? Is there competition for funding between transportation projects? Why is the Eastern Corridor Program of Projects needed? Where did the Eastern Corridor Concept come from? How soon can the Eastern Corridor happen? Why could the Eastern Corridor succeed? How do the Eastern Corridor projects effect one another? Why is so much money spent on planning studies? How does the Eastern Corridor address a growing interest in mass transit? Can more buses solve the problem? Is funding available for the Eastern Corridor Program? What are the funding sources for the Eastern Corridor? Is federal funding an option for the Eastern Corridor Program? How are the improvements in the Eastgate area supporting economic development? What’s the status of the improvements to SR 32 in the Eastgate area, between Eastgate Boulevard and Olive Branch-Stonelick Road? Why start regional rail along the Oasis Corridor and not I-75 or I-71? What is the current status of the SR 32 Relocation Project? What’s the status of the Red Bank Corridor Project? What else is happening in the Eastern Corridor? For more frequently asked questions about the SR 32 Relocation Project, view the SR 32 Relocation FAQ page. 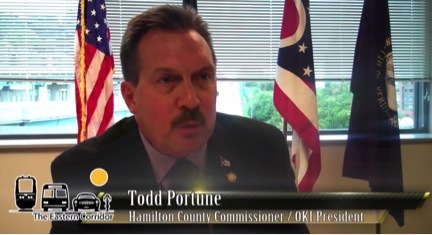 Hamilton County Commissioner and OKI President Todd Portune discusses how a well-connected, multi-modal transportation network is key to supporting regional growth. 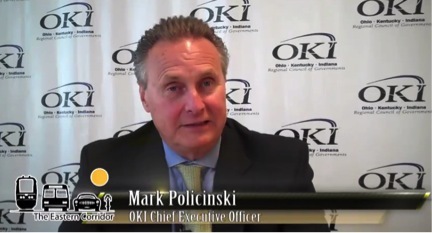 OKI Chief Executive Officer Mark Policiniski discusses the need and importance of improving connections between Greater Cincinnati’s eastern communities and the region’s core. 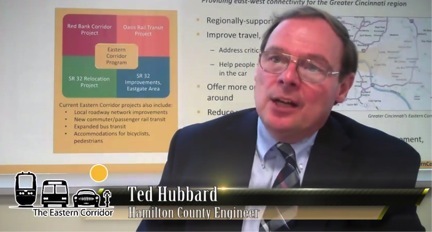 Hamilton County Engineer Ted Hubbard explains that the Eastern Corridor Program also includes more than 180 smaller-scale transportation network improvements, a majority of which are already complete or under construction. 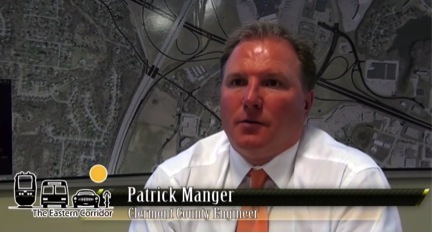 Clermont County Engineer Pat Manger provides an update on the Eastern Corridor improvements now underway in the Eastgate area. 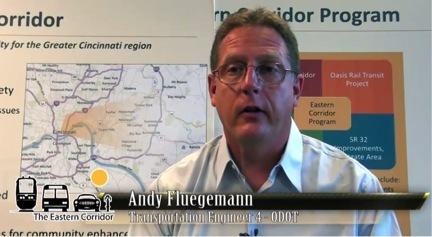 Ohio Department Of Transportation Planning Enginneer Andy Fluegemann explains the current SR 32 Relocation Study map.